Two (2) prize winners will each receive one (1) $1,500 Visa gift card and five (5) spray tans. The ARV of prize is $1,700. The Palm Beach Tan Fall Fashion Fix Sweepstakes is only open to entrants who are natural persons who are legal residents of one of the 50 United States or the District of Columbia and 18 years of age or older. 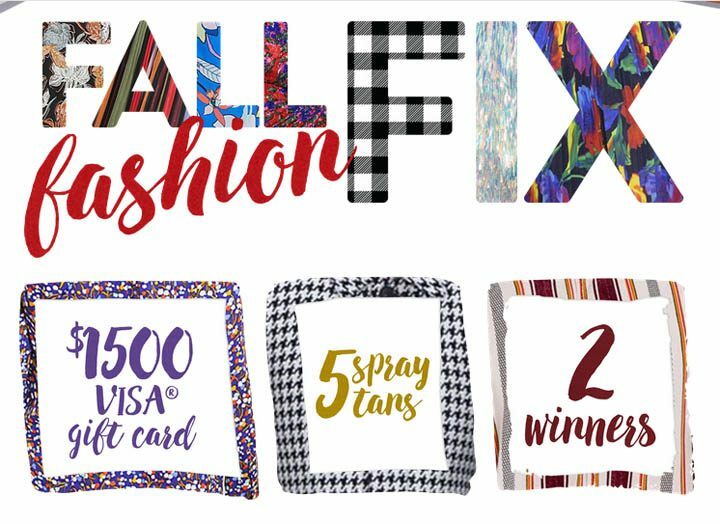 The Palm Beach Tan Fall Fashion Fix Sweepstakes ends at 11:59:59 P.M. CT on August 31. You must register through palmbeachtan.com/fashionsweeps or palmbeachtan.com/info/sweepstakes and complete the entry form. Each entrant may receive up to 19 Sweepstakes entries in total (one per day).